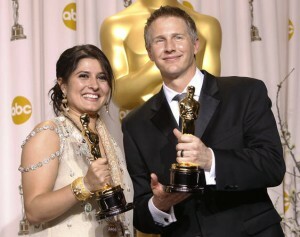 ‘Saving Face’ wins maiden Oscar for Pakistan! A very proud nation Pakistan woke up to a jubilant Monday morning as news flashed of film-maker Sharmeen Obaid-Chinoy’s triumph on becoming the first Pakistani to win an Oscar at the 84th Annual Academy Awards held at the Hollywood & Highland Center, Hollywood, California. Her film ‘Saving Face’, based on the appalling incidents of acid attacks on women in Pakistan, brought home the first Oscar for Pakistan by winning in the Best Documentary (Short Subject) category. Apart from the critical acclaim the film has been receiving, it has also been very instrumental in passing a law which sentences the convicted to life-imprisonment. In the aftermath of the victory, the team is further striving to capitalize this moment of international media spotlight by announcing a campaign on their website in the hope of creating awareness and helping the victims of the attacks. ‘Saving Face’ chronicles the work of acclaimed British-Pakistani plastic surgeon Dr. Mohammad Jawad, who travels around the country to perform reconstructive surgery on the attacked women and help them move on with their lives. Produced by Davis Coombe, Alison Greenberg, Sabiha Sumar, Daniel Junge, Sharmeen Obaid-Chinoy and exec produced by HBO Documentary Films’ Lisa Heller and Sheila Nevins, the film will air in US and Canada on HBO on March 8, 2012. In the UK, it airs in April, but premieres at the Human Rights Film Festival on March 28th in London. 17 queries in 1.249 seconds.